From the music industry to business portfolios, Full Color CD inserts are a professional and attractive means to get the attention necessary of the prospective client or customer. 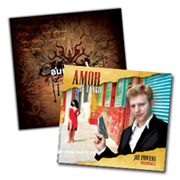 Full Color CD inserts are printed on cardstock with an option of FREE UV High Gloss Coating. With our Full Color CD inserts you can order as little as 50 copies.